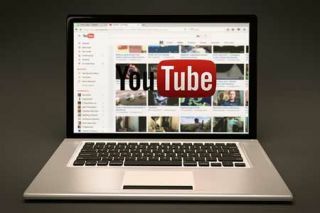 There are millions of videos that are hosted on YouTube, and we are integrating many of them in our classrooms effectively. When you watch a video with your kids in the classroom or you assign them a link, the videos come up with unwanted ads, inappropriate comments and unwanted suggested videos. SafeShare is one of the tools that you can use to get rid of these distractions around a YouTube video. And, ViewPure can be another fancy alternative for that. When you paste your YouTube video link on ViewPure and click on Purify, the tool will remove all of the ads, comments and suggested videos from the video. This will certainly make our video visually less distracting. It also lets you search on YouTube with a cleaner UI and filtered results. You can also drag the bookmarklet link and add the purify link to your toolbar. So, whenever you are on any YouTube page and it will automatically remove ads, comments, and other clutter. You can also create password protected links and you can customize your ViewPure links as well. The tool also lets you add a start and end time to your videos, like that every time you load your custom URL, it will play and stop exactly where you want. Happy safe viewing on YouTube.